The vibrant streets of Bangkok may be chaotic but the capital of Thailand is still an amazing place to visit. Among the top tourist destinations in Thailand, Bangkok is also one of the most visited cities in the world. Filled with temples, parks, shopping streets and malls, and some far-out nightlife, Bangkok is a buzzing city that will pound your every sense! It’s only fitting then, that after spending time in the capital you will want to head somewhere much quieter and relaxing, and the island of Koh Kood is just the place! Situated in the Gulf of Thailand, Koh Kood is the last Thai island before you reach the shores of Cambodia. It’s a popular destination for families because it features breathtaking beaches and beautiful scenery, yet there is barely any nightlife unlike many other popular Thai resorts. Head to Koh Kood for several days of pure relaxation! As an island that’s filled with dense jungles and waterfalls, Koh Kood (also commonly known as Ko Kut), does not have a great deal of infrastructure outside of the hotels and restaurants, and there’s definitely no airport on the island! 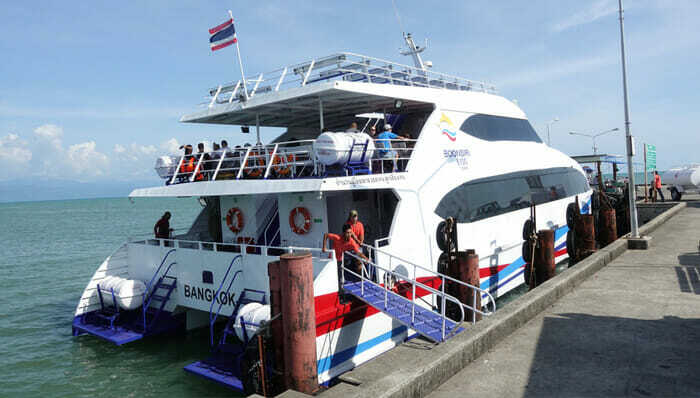 Getting to Koh Kood from Bangkok will therefore involve a boat ride, but the good news is that there are high-speed ferries operating from the mainland, so it’s a fairly quick crossing. There are other ways that you can get from Bangkok to Koh Kood, such as traveling independently via Trat. You could catch a flight from Bangkok to Trat and then take a taxi from the airport to the ferry, or get a bus to Trat and then the ferry. The problem with doing it this way is that you’re really not saving anything. A flight would be very expensive and could potentially save you time, but buying a separate bus and ferry ticket is not going to save you time or money. 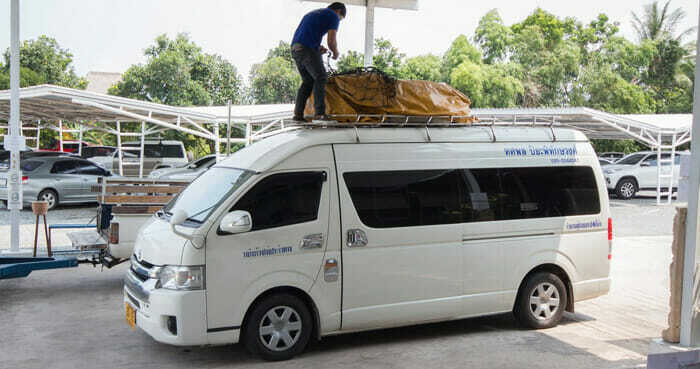 So, the most popular way and the way in which we would recommend traveling, is to take a van directly from Bangkok to the ferry pier that connects with Koh Kood. And you’ll find all the details of this journey below. In our opinion, buying a joint ticket that gets you on a van directly from Bangkok and takes you all the way to the ferry pier, and includes the ferry crossing itself, is the best way to travel from Bangkok to Koh Kood. It’s quite a distance between these two places – as the crow flies it’s about 320 kilometers (200 miles), but, when you’re following a road that has to go around towns and natural obstructions, the journey by road to one of the most south-eastern spots of Thailand does take a while! Even so, when you include the ferry crossing, you’re looking at a total travel time of between 5 and 9 hours, depending on which company you use and where your departure and arrival points are. So, although it could take pretty much a whole day to travel to Koh Kood, it could be worse! The journey time also depends greatly on the traffic and the sea conditions at the time of your crossing. If the waters are rough, then the ferries must travel at slower speeds for safety reasons, and then there’s the traffic getting through and out of Bangkok. Bangkok is an extremely busy city so you should expect heavy traffic at most times of the day except very early in the morning. The earlier you leave Bangkok, the sooner you’ll get to Koh Kood! This is especially true of the 5am departure with Boonsiri High Speed Ferries. If you don’t mind getting up early and making your way to the Khao San Road area of Bangkok, you can get a combined ticket for the van, then the ferry, and also a transfer to your hotel once you arrive in Koh Kood. Because you miss some of the traffic by departing so early, you can catch the 11am ferry to Koh Kood and be relaxing on the beach by the afternoon! The good news is that this combined ticket is great value for money, and, although you can book directly with vendors on Khao San Road, we would strongly advise booking through a reputable online travel company to be sure that you’re getting the correct ticket and right price. If a 5am departure is just too early for you, there is another a couple of hours later at 7:30am. 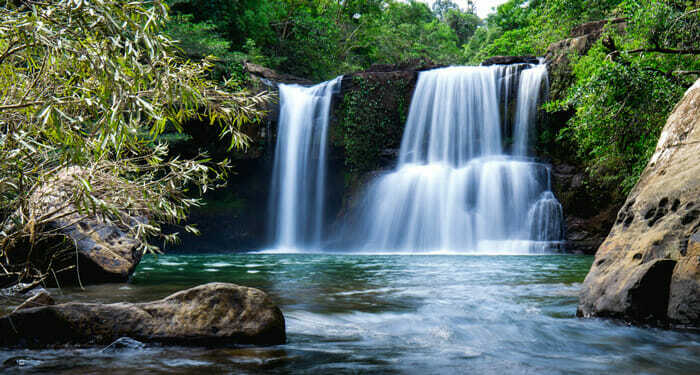 However, this departure will get you on a later ferry that is scheduled to go to the island of Koh Mak before reaching Koh Kood, so this adds extra time to your journey. Another option, if you prefer more flexibility, is to book a private taxi or van. The advantage with this is that they will pick you up directly from your hotel in Bangkok, and you can decide on what time of day you want to leave, according to your plans. This allows you to leave at a more sociable hour than 5am or 7:30am! The downside is that it’s very expensive, and, the taxi does not take you all the way to Koh Kood. You’ll just be paying for the taxi to take you to the ferry pier, but the price does not include your ferry ticket. This is because these high-speed ferries do not take vehicles, only foot passengers. Buying just the ferry ticket when you arrive at the pier is not particularly difficult, however, you may have to wait a while for the next ferry. You can also buy the ferry ticket online. Bear in mind that there are several different ferry companies you could choose from, operating high-speed ferries, catamarans, and even speedboats, however, the last departure for any of these companies will be around 3pm so you must consider this if traveling by taxi from Bangkok, or if taking a bus to Trat and making your own way to the ferry pier. With all of these drawbacks to traveling independently, we’re sure you’ll agree that a combined ticket for a van and ferry from Bangkok to Koh Kood is easily the best and most affordable way to go!